In a recent Daily Business Review article, experts believe that rental rates in Downtown Miami are on the rise. Harvey Hernandez, Managing Director, Newgard Development Group, stated that with the population influx in this part of Miami, the booming neighborhood is “not going to have enough product to cover the demand." Hernandez said based on predictions for a population influx in central Miami. He further stated that he anticipates the rental rate per square foot to jump from the current $2.25 to $2.50 to about $3.25 which is aimed at “the professional who wants to be centrally located," he said. When comparing rentals, two and three bedroom units are a better value when looking at the price per square foot. 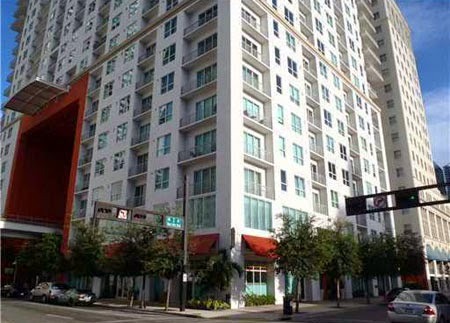 With that in mind, it is still possible to find a great, roomy Downtown Miami rental with over two bedrooms in a well sought-after condominium. Here are five condominiums with two-bedroom residences for well under $3.00 per square foot. The Loft Downtown, 234 NE 3rd Street. 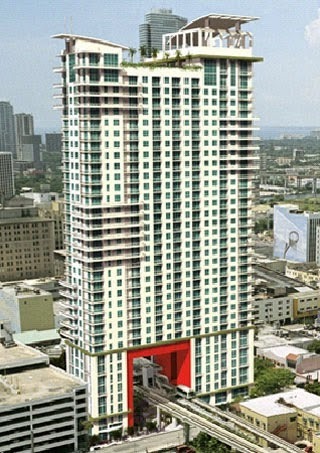 Located in the heart of Downtown Miami, The Loft Downtown is a Related Group project built in 2005. It is within walking distance to everything so that you can virtually park the car and walk everywhere which is ideal for those who work Downtown and in Brickell. With only nine units have an urban loft-style design with exposed walls and pipes they are pre-wired for high-speed internet and cable TV access as well as have modern fixtures and finishes energy-efficient and impact resistant sliding glass doors and windows, and nice size balconies. Community amenities include a pool with thermal waterfall, Feng Shui seating areas, tea garden and convenient juice bar fully-equipped fitness center and 24-hour concierge. In terms of rental rates, the prices start under $2 per square foot and climb to just under $3 per square foot with monthly rentals falling between about $1,500 and $2,200 per month. The Loft II Downtown, 133 NE 2nd Avenue. Another condominium situated just around the corner from its sister building and built in 2007 is the Loft II Downtown. This condominium is slightly larger than the other with 36 stories and 495 residences. Not only is it close to everything, it has a MetroMover stop right in the building making it easy to move through Miami without a car. It has a loft-style design in each residence with room to move and updated fixtures and finishes along with high-speed internet, cable TV access and balconies with beautiful views. Community amenities are similar to its sister property with a pool, state of the art fitness center, 24-hour concierge, and a gated-access garage. Rental rates for two-bedrooms fall within the $2,000 to $2,500 range. Additionally, rental rate per square foot for two-bedrooms skirt the $2 per square foot range. One Miami, 325 Biscayne Boulevard. 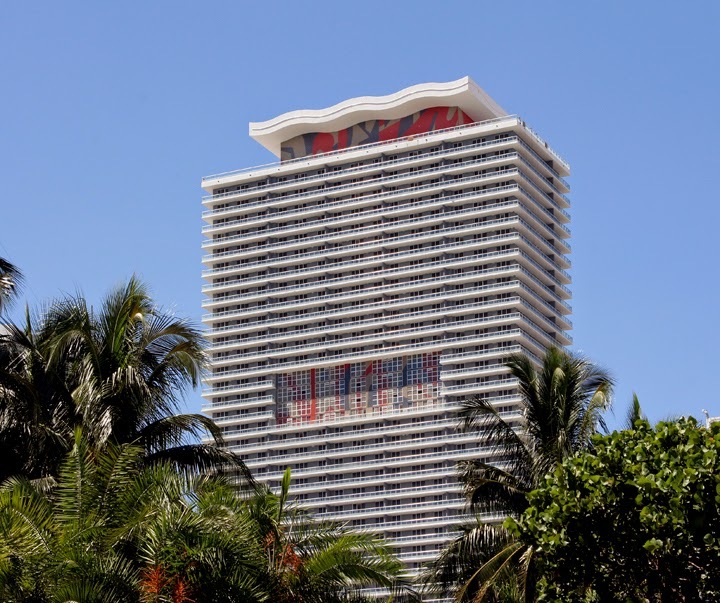 One Miami is a Downtown Miami landmark that features 896 units on 44 floors. With 11 floor plans offering studios, one, two and three-bedroom units, the location of One Miami offers amazing views of the city, South Beach, and water views. Inside each unit, you can expect to European kitchen cabinets with stainless steel sinks and granite countertops along with imported tile in the kitchens and bath, and impact resistant glass doors and windows that lead out to balconies with amazing views. Additionally, residents have access to wonderful pool with tropical landscaping surrounding it, a fitness center with state-of-the art equipment, assigned parking, 24-hour valet, security, concierge and housecleaning, and a lot more. As for rental rates, one and two, and three-bedroom residences fall between about $1,600 and $4,500 per month. As a comparison, for the most part, the price per square foot for One Miami rentals ranges from about $2.10 to $2.75 with a handful about $3 per square foot. Opera Tower, 1750 North Bayshore Drive. As a slightly more expensive condominium when comparing on a price per square foot basis, it does not get much better than Opera Tower rentals. Situated just across the street from Margaret Pace Park and Biscayne Bay, this is a luxury condominium in the truest sense of the word. Inside there are studios, one and two-bedroom units available for rent with rental rates falling between about $1,600 and just over $3,000 with sizes ranging from about 500 square feet and just over 1,000 square feet. Inside each residence, tenants enjoy beautiful kitchens with granite countertops, stainless steel appliances, and custom European cabinetry as well as spacious living areas, pre-wiring for digital satellite cable and high-speed internet access and floor-to-ceiling solar tint sliding glass doors that lead out to spacious wraparound balconies. In terms of price per square foot, two-bedrooms offer the most value starting at $2.35 per square foot while studios may hit $4 per square foot. 50 Biscayne, 50 Biscayne Boulevard. 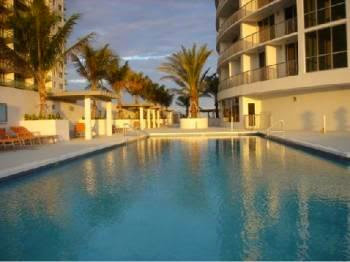 Located just across the street from Biscayne Park, 50 Biscayne is a gorgeous condominium with beautiful views and lots of restaurants and activities within a block or two. Inside each residence, there are floor to ceiling glass windows that lead out to large balconies, large living rooms, large master bedrooms with walk-in closets, Smart Building wiring, large kitchens with plenty of counter space, custom cabinets and high-end stainless steel appliances, and more. 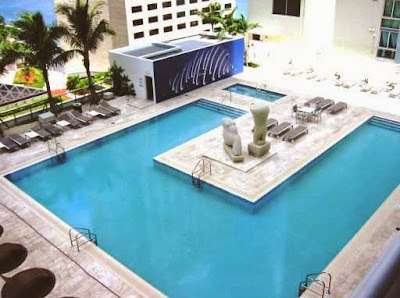 As for community amenities, tenants have access to a two-story fitness center, two-story club room, resort-style pool, high-speed elevators, 24-hour concierge, valet and security, and more. Monthly rental rates range from about $1,600 to over $4,000 with price per square foot falling between about $2 to about $3.75 for a studio. Like most other rental properties, two bedroom rentals offer the most value when comparing units on a price per square foot basis. With downtown rentals, experts and developers see the potential with rental properties and are in a development mode with new construction throughout all of Miami. They also indicate that they expect Downtown Miami rental rates will climb. When comparing Downtown Miami rentals as well as those in other parts of this tropical paradise, looking at them on a price per square foot basis provides an accurate comparison. If you are thinking about renting in one of the Downtown Miami condominiums, now is the time to get serious. Check out some of the units in one of these buildings as well as others.